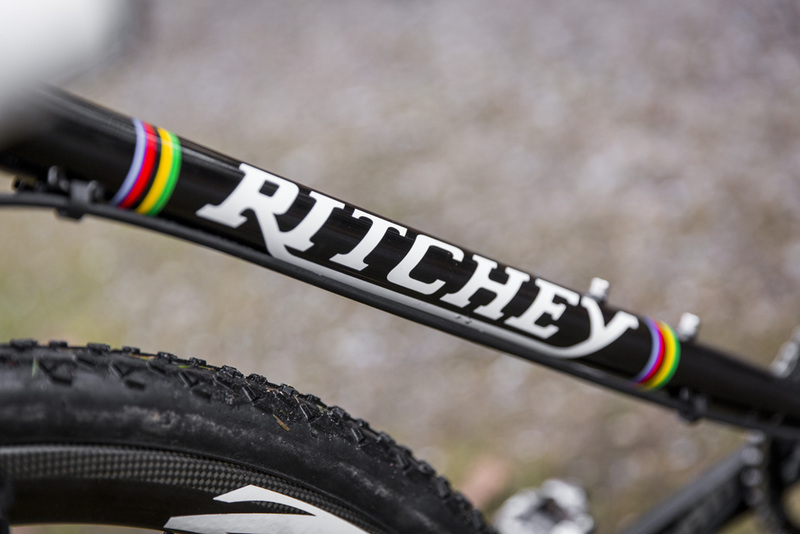 Ritchey’s legendary Swiss Cross frameset has been around for many, many years. 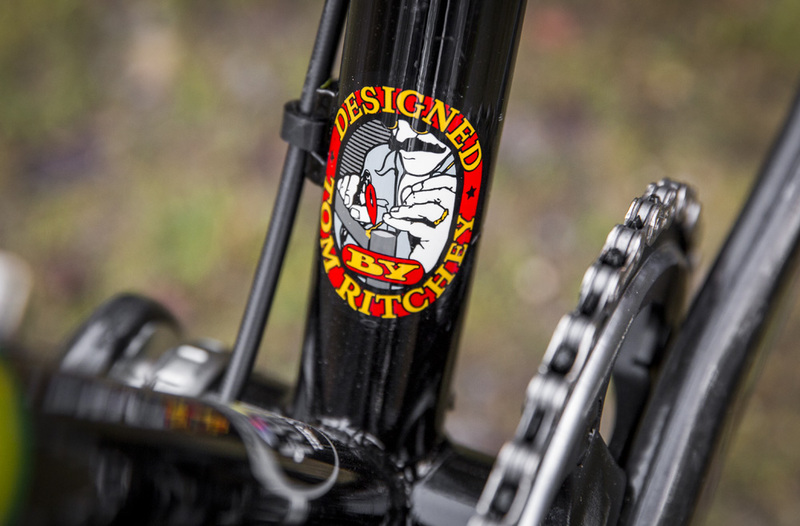 The cantilever equipped frameset, often seen in fire engine red, now has a sister model, this all black Swiss Cross Disc. 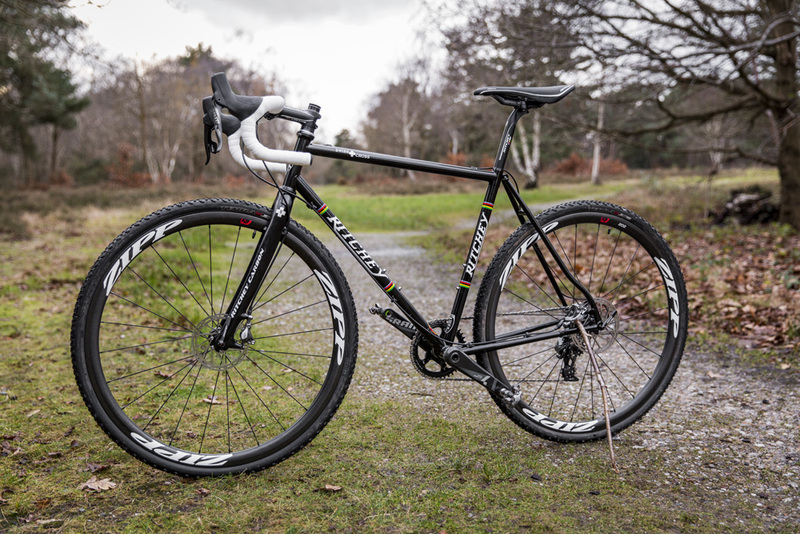 We got our hands on a frameset recently from Ritchey’s UK distributor, Paligap, and we’ve taken our time putting together a nice build. We present it here for your viewing pleasure, before we take it away and completely cover it in mud. 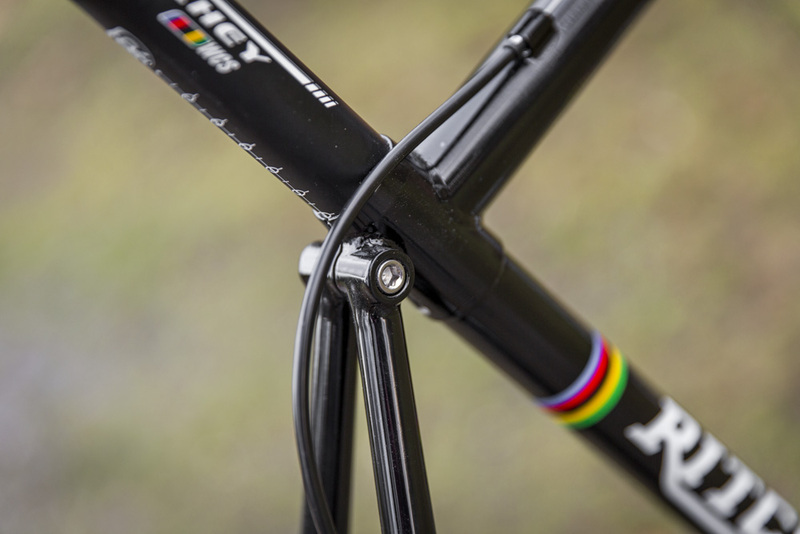 The material is Ritchey’s own – a triple-butted Logic II CrMo steel that is expertly welded, and beautifully finished in a deep black. 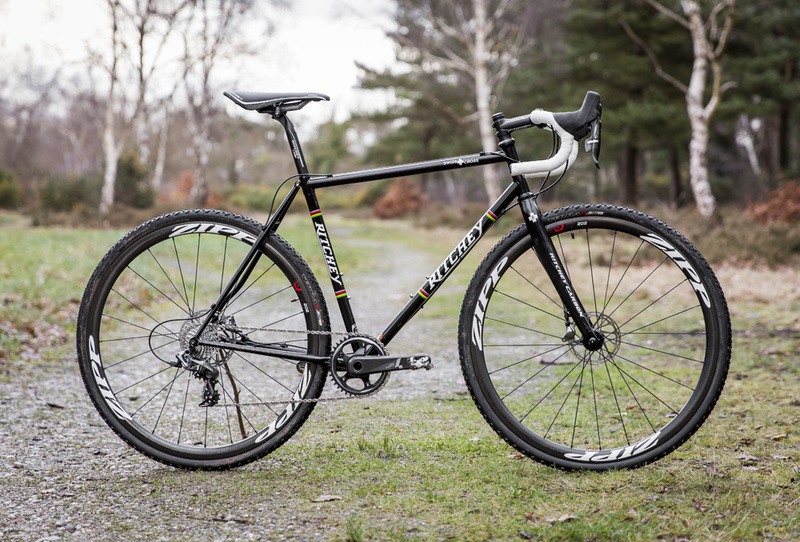 The price for the frameset and carbon fork: £975. 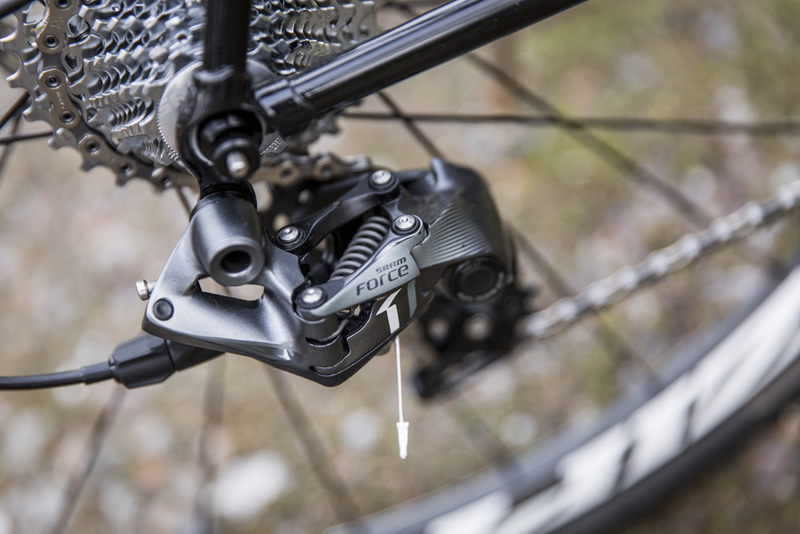 We’ve specced SRAM’s new CX1 groupset, with hydraulic disc brakes. 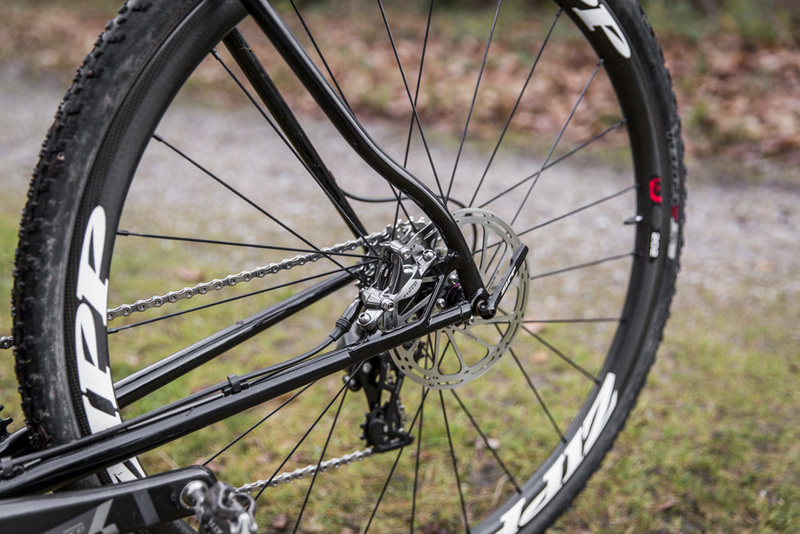 140mm front rotor and a 160mm rear. 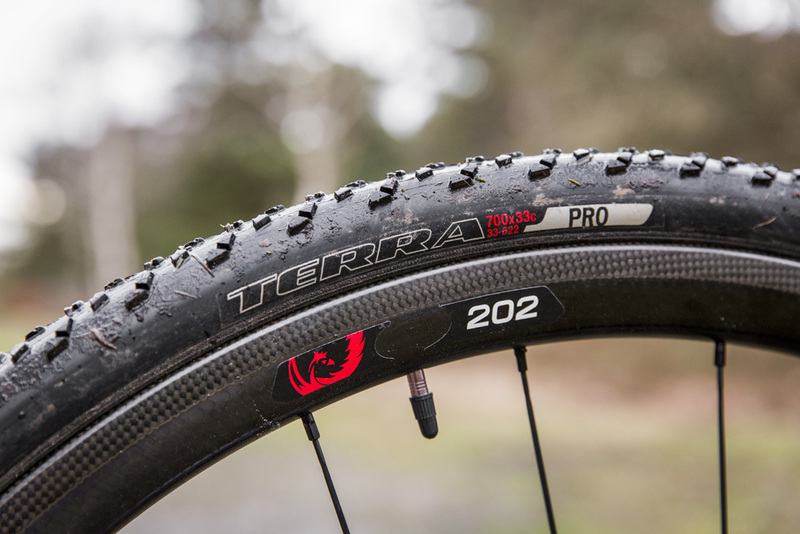 For rolling duties, Zipp provided their 202 disc clincher wheels and we wrapped them with Specialized’s excellent Terra mud tyres. 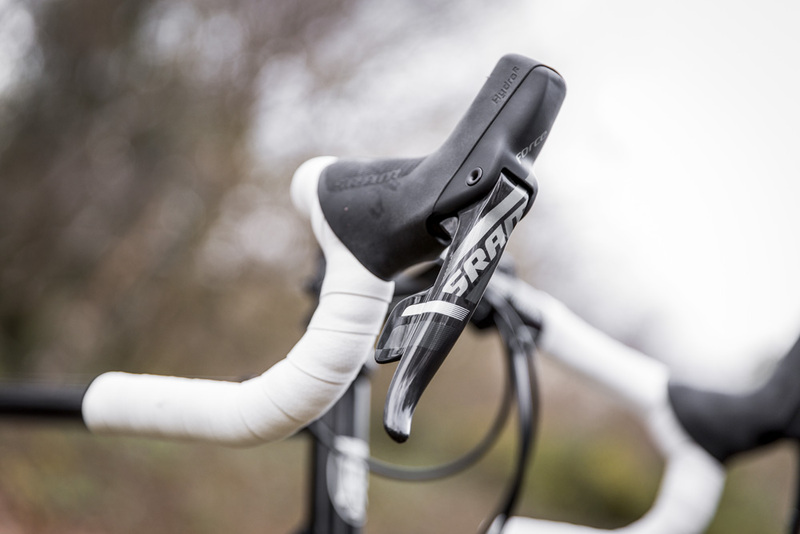 The finishing kit was all provided by Paligap too. 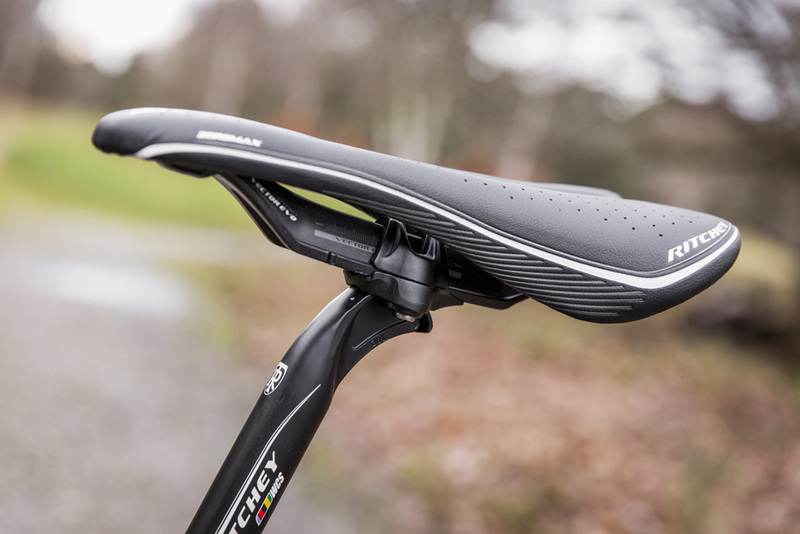 It includes a Ritchey WCS bar/stem combination, with an interesting Vector Rail Evo saddle/seat post system. 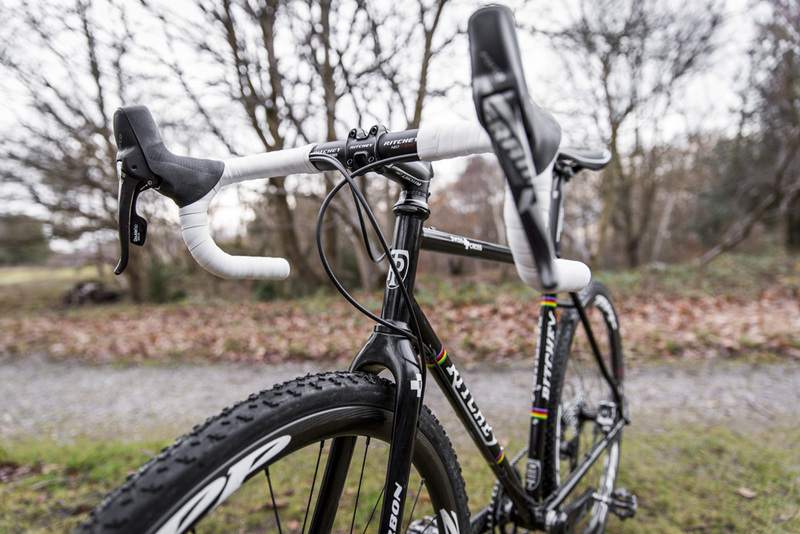 Everything on the bike is here at CW for review, and we’ll report back in the New Year with full feedback of the Ritchey frameset; the WCS Vector Evo saddle and seatpost system; the CX1 groupset and Zipp 202 Disc wheels. 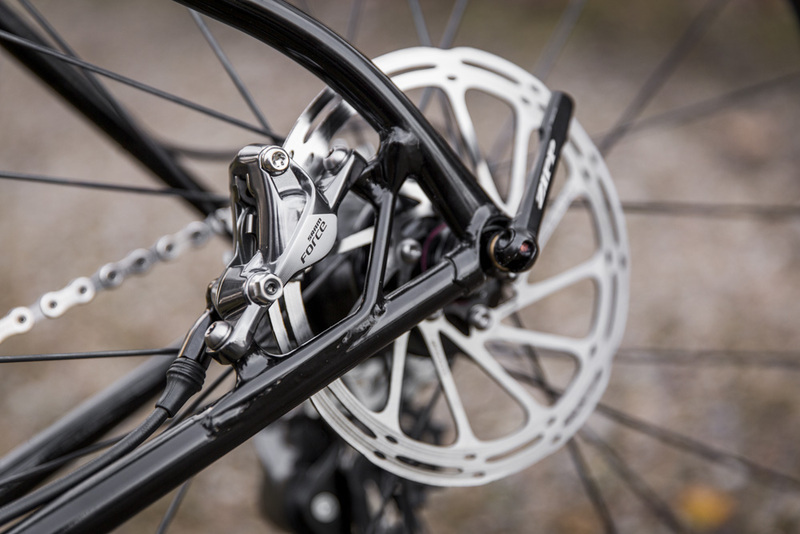 The rear mech is all-new. 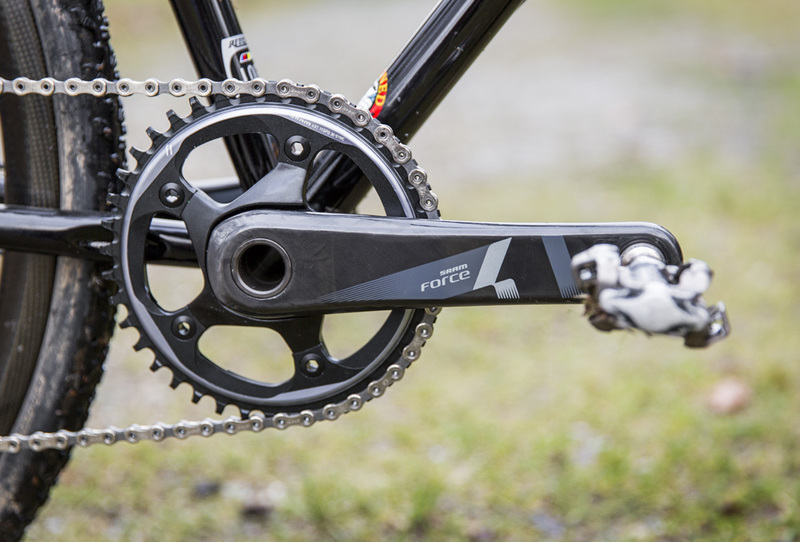 A clutch system has been introduced, which helps keep the chain taught. 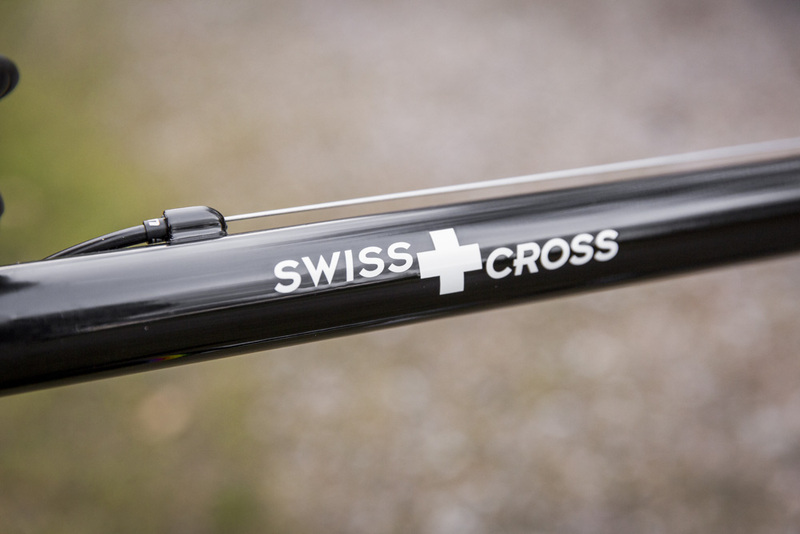 We fit a 160mm disc to the rear of the Swiss Cross (the front has a 140mm). 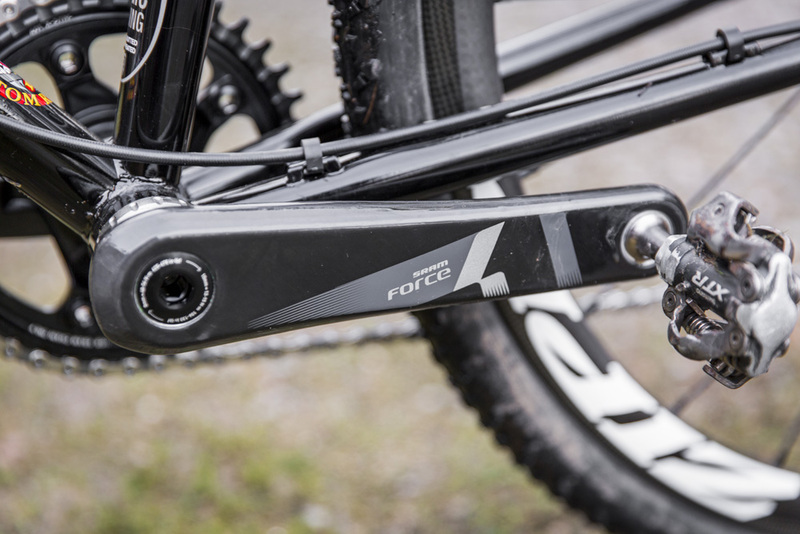 The non-drive side crank arm of the SRAM CX1 groupset.